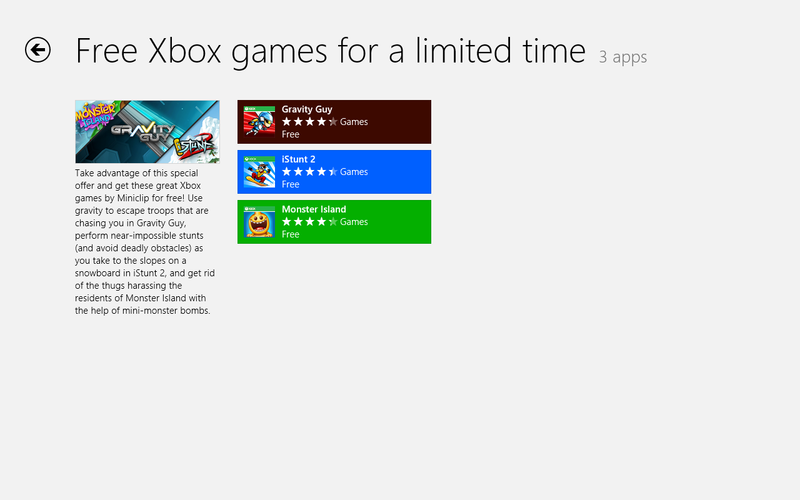 Microsoft is offering three Xbox LIVE games on Windows for free for a limited time! These games usually cost over three dollars, but they are free now. The offer does not seem to mention how long this deal will last, but if I were you, I would grab them right now, just to have it in my collection. Even if you don’t want to play those games at the moment, it is still a good idea to grab them. That way, when the games do become paid again, you can install, it for free because you will have owned it. The three games are developed by Miniclip and are arcade based games. The games are Monster Island, iStunt 2, and Gravity Guy. They offer Xbox LIVE achievements, have Xbox leaderboard, and is fully integrated with your Xbox Gamertag. What are you waiting for? Go and grab them now! Next Next post: I Lost my Office Disc – How do I Reinstall Office without the Disc?